The Phoenix Factory’s Old Edgefield Pottery will have an Edgefield Groundhog Kiln Opening on Saturday, September 15th, from 9:00 a. m. to 10:00 a. m. The kiln is located approximately 1 mile north of Edgefield at 54 Crest Road (near the intersection of Buncombe Street). 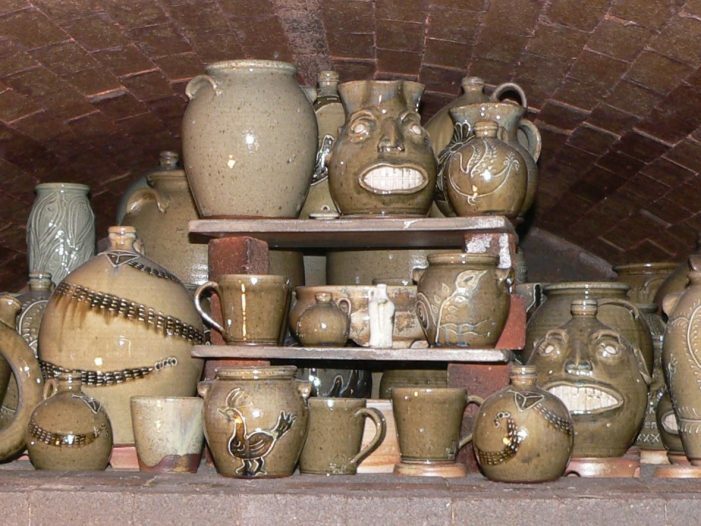 After that, wares will be returning to The Phoenix Factory’s Old Edgefield Pottery studio at 230 Simkins St. Edgefield Pottery of all types and descriptions will be sold straight from the kiln! Come and share in a 200-year-old tradition! !